Pop culture is a threat to talent development. No, I am neither a “culture snob” nor a technophobic Luddite, but I believe the threat— rather, set of threats— is real. More precisely, it poses threats to any talent that is not a pop-culture talent. By “pop-culture talent” I mean talent engaged in the creation, marketing, distribution and staging of pop culture. That is talent that thrives on—indeed creates and exists because of—pop culture, as I broadly demarcate it below. For everybody else, it is a different story. I have identified 10 clear-and-present real threats to personal, cultural and professional talent development in non-pop culture fields. Like Trojan horses welcomed with naïve mob applause, these threats are tolerated, inter-related, embedded and acclaimed in pop culture—including pop-tech culture, or “pop tech” for short. By “pop-tech culture” I mean the modern, mainstream technology-based, technology-obsessed culture that celebrates, fuels and feeds on pop culture in the narrower, more conventional, entertainment-focused sense. The following top my list of such pop-tech and pop-culture threats to the development of personal and professional talents. These, as indicated, I conceive as career and job talents exclusive of those essentially associated with being or promoting pop-culture celebrities or pop culture itself. Of course, every technology that offers benefits also presents risks. My aim here is to identify the risks. Pop-entertainment culture per se: It is well known that way too much of pop-culture content is addictive and excessive distraction [apart from the merits of entertainment as a temporary, pleasant “break”] that promotes dumbing down, conformity, escapism, mindlessness, crudity and Gerry Springerish primitive primate priorities that compete with and impair personal talent development. Hence, I am convinced that the talents that thrive because of immersion in pop culture are most likely to be those required to promote and sustain precisely that culture. Where the content of pop-tech pop culture doesn’t inflict substantial talent development-related damage, mere exposure to the forms of its media can: Studies citing screen-induced developmental damage in infants are not hard to find. Think of these babies as poster children for pop-tech, pop-culture impaired talent development and tomorrow’s talent-impaired workforce. Pop-tech generated information and entertainment over-choice: The more kinds of information one has, the more hobbyist and career talents there are to be discovered and developed. We always select, never “fulfill our potential”, because there are so many personal potentials to choose to fulfill before we choose to fulfill the one or the few we can manage. Pop tech takes such over-choice to whole new levels. For example, kids used to declare “cowboy”, “clown”, “fireman” or “astronaut” as their limited career choices because these were all they knew and admired. Now, in an Internet-driven and smart phone-delineated world, deciding which talents and potentials to develop into a career is a much more daunting, distraction-filled challenge. With kids getting computers before they can spell “computer”, by the time they are 10, they and their parents are trading in the laptop for an upgrade and trying to decide on whether cardiologist, neurologist or Disney web designer is the future career of choice. Despite the obvious benefits of broader and more-informed talent-development and career choices, given the unlimited temptations created by unlimited and competing pop-tech supplied information and options, it is only to be expected that even when some specific talent is selected for development, the tug of other possibilities may make that development short-lived, spasmodic or superficial, depending on other factors, such as any innate tendency toward persistence or dilettantism. It is also why monomaniacal passion for developing a specific talent now carries greater opportunity costs in light of virtually limitless choice and seems somewhat mystifying—in the way that having the goal of “knowing everything” seems now. —Drains off talent-development energy, interest and—most worryingly of all—capacity, by imposing the lowest possible talent and cognitive demands, by, in many instances, inducing a state of quasi-hypnosis, and by offering the fewest career-relevant talent challenges, which results in talent-development-related atrophy, apathy and complacency, especially when the entertainment is addictive and displaces too much of the rest of life. Even though I have no Puritan or “no-fun-damentalist” objections to having occasional escapist, maybe even enlightening fun, I wince thinking how many talent-developing breakthroughs and epiphanies in medicine, engineering, agriculture, public policy, entrepreneurship and governance, or interest in these, have been lost because of a decision to play or watch a game or game show on TV or a tablet instead—especially given the well-confirmed impact of chance, unrepeatable moments of inspiration. Compare kids inspired to build robots instead of cheering them on in movies with med students watching “Grey’s Anatomy” when they should or could be perusing Gray’s Anatomy—the standard textbook of anatomy [available free, online, as an alternative, if not antidote to the TV show. Of course, a Hollywood movie, e.g., “Transformers”, can inspire rather than replace engineering talent development—but that’s likely to be an insufficient offset to the broader damage and costs. —Subverts the values associated with development of many less frivolous talents, e.g., creative originality, critical thinking and acceptance of stiff challenges. —Subtly elevates consumption above production, passive viewing over proactive engagement and exploration, and fantasy-based tasks and talents, e.g., those developed in playing video dragon-slaying games, at the expense of reality-oriented tasks and talents, e.g., those of an air traffic controller. Micro digital-keyboards: The modern micro-keyboards are too tiny to create, explore, elicit or communicate anything substantially deep, complex or long, e.g., smartphone key pads, notebook keyboards. To me, attempting that would be like trying to write mathematical proofs on a pager. Then there's the motor-skill challenge to thinking posed by the distractions and high risk of typing or keying errors when using any micro-keyboard. Bottom line: micro keyboards and pads obstruct rather than facilitate any talent development, apart from a talent for coping with them. Micro screens: You can’t formulate or elaborate a vision if you can’t see it. The modern smart-phone crowded, often poorly illuminated micro screen is no friend of clear, careful, creative or critical thinking and complete communication that are essential to so many forms of talent and talent development. 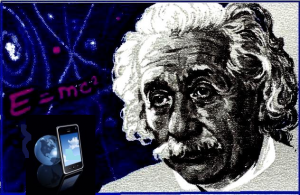 Moreover, SMS technology conditions the mind to generally think and express itself in the same SMS mini-chat format, further impeding the development of talent-related traits of mindfulness, attentiveness, perseverance, complexity, imagination, logicality, coherence, continuity, precision, expressiveness, clarity and comprehensiveness. This is a direct consequence of the technology cited in #4 and here too, the damage to talent development takes two forms: the effects and opportunity costs of competitive elimination of something better to communicate and the undesirable consequences of setting the thinking and communication bar so low. Special-effects action montages: Among the most direct and insidious impacts of entertainment industry pop-tech on the mind and its talents are the effects of Hollywood special effects when presented in the formulaic, de rigueur and pervasive montage- barrage format of bada-bada-boom! sight-and-sound-bites, such as tossed locomotives, explosions, car chases and flying kitchen sinks digitally stitched together in a furiously fast montage to create a veil or shroud for the mind and its talents. The fact that not only are the scene segues so rapid, but also so kinetic, deafening and over-sized, attests their utterly infantile and mind-stunting appeal, which, at root, is identical with what engages mentally undeveloped infants: Big colorful, noisy stuff—lots of it, flying and whirling everywhere, requiring nothing more than an unlimited capacity and insatiable appetite for visual tracking and a high tolerance for the accompanying cacophony. In one respect the special effects pop-tech industry represents nothing new: It is the high-tech, pop-tech equivalent of a traditional low-tech baby rattle as stimulus and pacifier, with an added psychological spin—It's for "children of all ages", many of whose talents will, thanks in part to the pop-tech special-effects rattle and other threats to personal growth, never mature.